As you’ll know by now, we take training very seriously here at The Cutting Room. Not only do we run our own ‘in house’ training academy which provides the foundation for the high standard of work we constantly strive to offer you, we also make sure that every team member has access to the best courses available outside the salon as well. 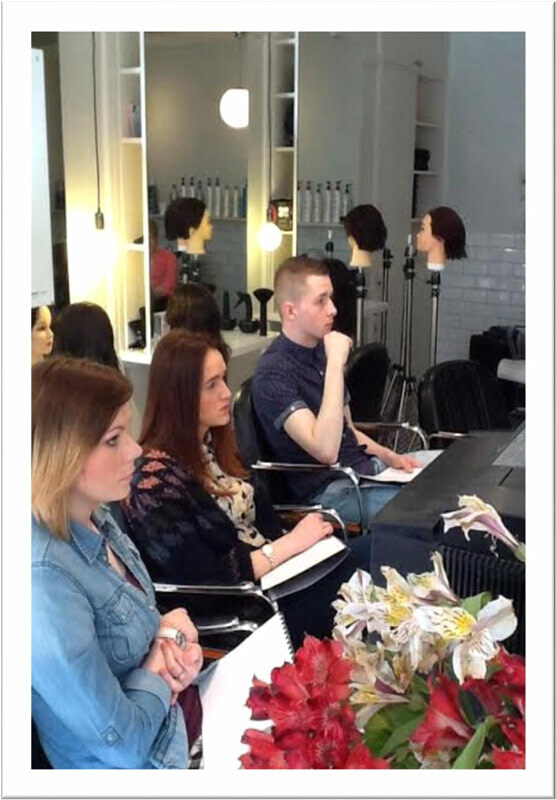 Recently our Assistants Liam,Kelsey and Georgie were on a styling and finishing course in Aberdeen (and you can see them looking very serious in the picture on the left!) Now we often hear about the younger generation not applying themselves, don’t we but not our ‘Three Musketeers’. They did so well that Damien the instructor who took the course called the salon afterwards to tell us how fabulous they all were and that they showed every sign of being real stars in the future. So well done guys … we’re proud of you!